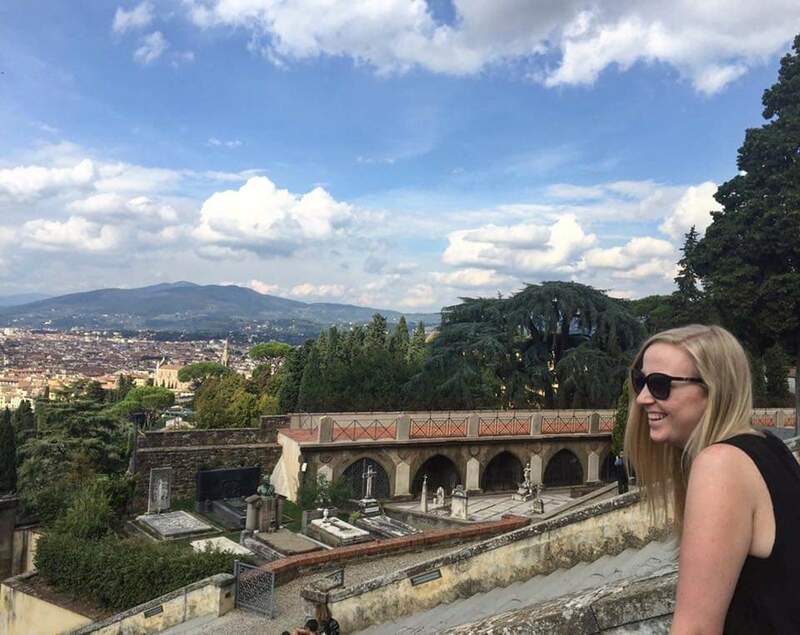 I'm still keeping strong with my monthly book goal but in the month of March I have actually managed to squeeze in two which I will explain in my other book review. This book was actually picked by the bf because he got me a giftcard for W H Smith as he knew I was reading more and I asked him to pick a book with it and he suggested this one. Little did he know that actually everyone is reading this book, it was incredibly popular at the time. 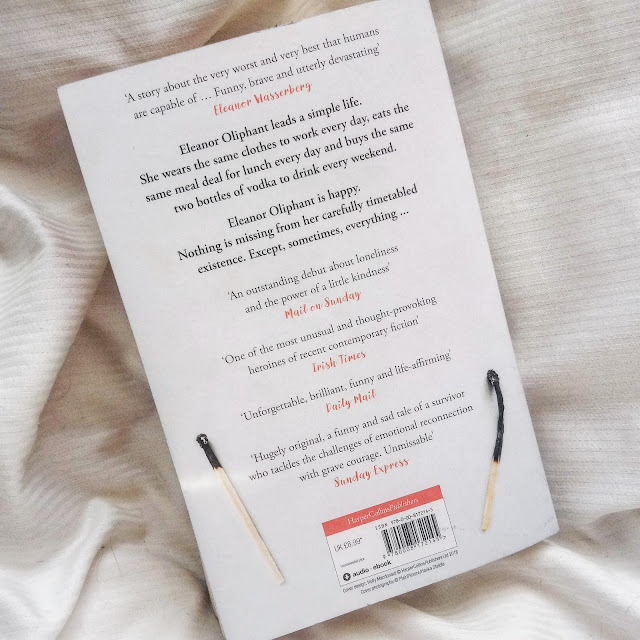 The blurb reads that Eleanor lives a simple life filled with simple routines and she buys two bottles of vodka to drink every weekend, immediately the reader knows something is up, we know that Eleanor is blocking something out but of course we need to read to find out. 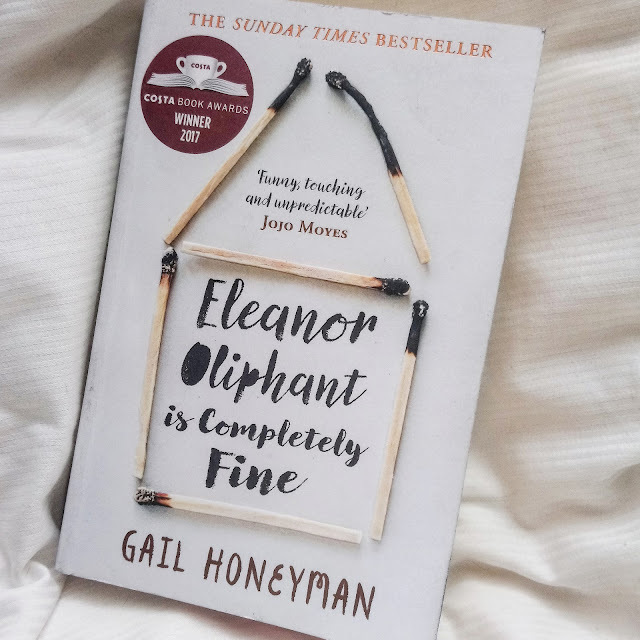 Gail Honeyman takes you through Eleanor's life in an almost clinical way, Eleanor isn't a person who is open about feelings, she is very black and white and emotion doesn't often come into her everyday life. There were lots of social interactions that just bypass Eleanor completely so we understand that she is a little different. We don't really know much about her past but we are given snippets throughout and learn quite early on that he upbringing wasn't the best and her "mummy" emotionally abuses her daughter over the phone. Eleanor becomes obsessed with a musician in an almost teen girl kind of way but she is a 30 year old woman, so it's a little odd. On the other hand Eleanor in wildly judgmental criticising people for all sorts of reasons but this starts to change when she meets a new colleague called Raymond. Eleanor is an endearing character and whilst she has many personality flaws there is an innocence there because she simply doesn't know any better, there are many "first time" experiences for this character which makes you like her all the more. This book was good but I didn't really connect with Eleanor until the "Bad Days" chapters start and that is a good 260 or so pages into the book, for me that's when the book actually starts and had the Bad Days chapter started from the beginning I probably would have enjoyed it more, but that isn't to say I didn't enjoy the novel because I did. You see this raw version of Eleanor which you've never seen before. These chapters have a darkness to them which you know I am always drawn to, I can understand that these chapters could be a little triggering so I would advise if you are likely to be triggered by certain themes be aware of these chapters. There is a twist in the book which I actually didn't expect but it kind of made sense and *spoiler warning* there is a happy(ish) ending which personally I never really like in novels that much because they can feel too forced but this is a nice ending so to speak! It's definitely a thought provoking book which makes you consider how small acts of kindness can really impact on other people's lives without you realising. I would definitely recommend this book.